How To Catch The Blue Kurper On Fly? Blue Kurper on fly are an exciting, aggressive and beautiful freshwater fish species. 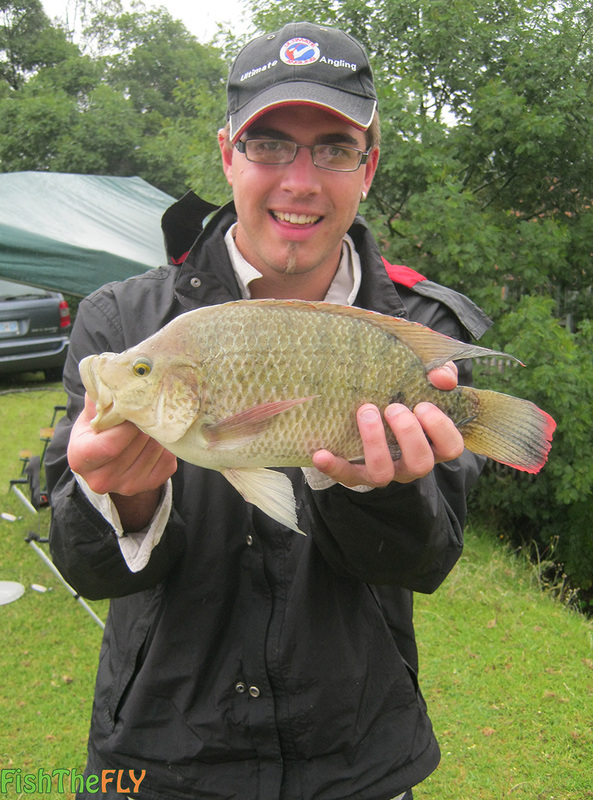 The Blue Kurper (Oreochromis mossambicus) is a freshwater bream, and is commonly known as the Mozambique Tilapia. 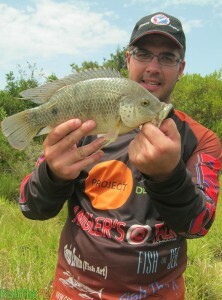 This species of tilapia is quite common through South Africa and is very adaptable. The Blue Kurper (Bloukurper in Afrikaans) can live in fast flowing rivers, stillwater dams and in saltwater, making it one of the more widespread and common of the South African fly fishing target species. The Blue Kurper (Mozambique Tilapia) have tough and sharp dorsal spines and a hard mouth with fine teeth that it uses to crush and kill it’s prey. 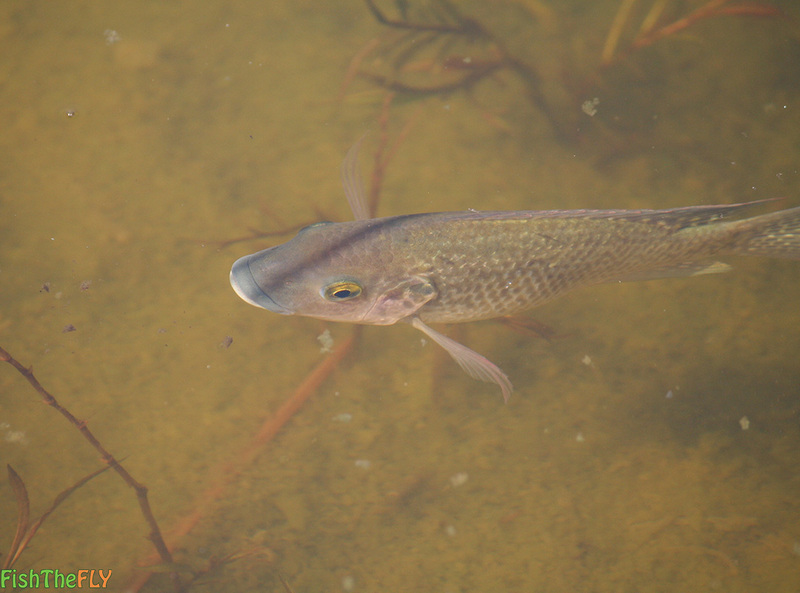 This freshwater bream is an aggressive predator, and the male of this fish species turns a beautiful dark colour with red markings when breeding and spawning. The Blue Kurper is also referred to occasionally as the Three Spot Kurper or Tilapia, this is incorrect however, as this is a separate species found in the northern parts of Southern Africa. The Blue Kurper can be found all around South Africa in warmer environments. They occur in large and small dams, rivers, and even estuaries. They thrive in warm water conditions, and are extremely adaptable. The Blue Kurper feeds on a variety of organisms, such as algae, insects, invertebrates and smaller fish species. They are known as a mouthbrooder – which means they protect their fry in their mouths until they can fend for themselves. This happens during Summer, where the Blue Kurper breeds every month or so. 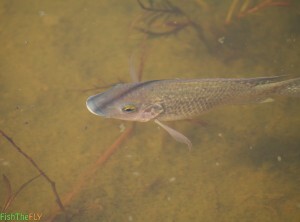 The juvenile fish species shoal in shallow water, and after a year are ready to breed themselves. Loskop Dam is well known for big Blue Kurper, and many lowveld dams and rivers hold good populations of the Mozambique Tilapia. Their size is determined by the environment they live in. They can reach 4 kilograms and 50 centimeters in length. Bigger specimens are being caught each year, and catch and release of these bigger specimens is a must in order to maintain healthy populations. Blue Kurper occur in areas with structure, and particularly like areas with reeds and rocks. They can occur in large shoals, and once you find these Mozambique Tilapia, you can have hours of fun catching Blue Kurper on fly. How To Fly Fish For Blue Kurper On Fly? Blue Kurper on fly can be a challenging species to catch, the trouble is locating them, and then presenting the right fly to them. They like movement, and will take a variety of flies, from streamers to wet flies, nymphs and even dry flies. To find Blue Kurper you can fish blind in spots you think they will hold in, or you can look for surface activity. You can often see the shoals of Blue Kurper making wakes on the surface close to reedbeds. To target Blue Kurper on fly a 5 or 6 weight fly fishing setup is perfect. You can use floating line, intermediate or sinking line, depending on what depth the fish are at. You should not use a tippet less than 10lbs, because these fish will head for structure and try cut you off, so the heavier you go the better. Blue Kurper can be line shy though, so sometimes you need to go lighter in order to get the fish. With sinking flies, a slow retrieve can often produce results, especially with the buggy flies. A faster retrieve on streamer patterns will also get the bite and the reaction out of the Blue Kurper.